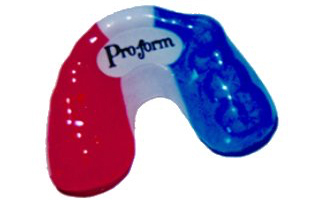 Custom dual layer sports mouthguards are custom-fitted by Drs. Panara, so the athlete receives a sports mouthguard fit to his or her unique dental structure. The mouthguards are double laminated for superior strength and shock dispersion, which greatly dissipates the possibility of tooth damage. The mouthguards are designed and fitted to the athlete's mouth like a glove fits a hand. This means that communication on the field, rink or court are clear to everyone. The mouthguards feel natural in the mouth and their comfortable and secure fit will ensure that the athlete keeps it in place while on the field, rink or court. Please contact the office to set-up an appointment or to ask any questions you may have.